Newsprint is one of the most well-established recyclable commodities in British Columbia and around the world. Newspaper was the original backbone of residential recycling programs and drove the establishment of the now three-decade old Blue Box/Bag recycling system in B.C. Recovered newsprint has strong rates of recycling, and is an abundant, high value commodity that has traditionally assisted in offsetting recycling collection costs, and provided a crucial subsidy that has helped municipalities sustain the collection of other Blue Box/Bag materials. Newsprint is also distinct in that it is a product as opposed to packaging that should be reduced where possible. The inherent value of this product is that it provides a platform for media to communicate with a large audience and as such is a critical element of a free and democratic society, providing accountability for governments and private institutions, and ensuring an informed public. 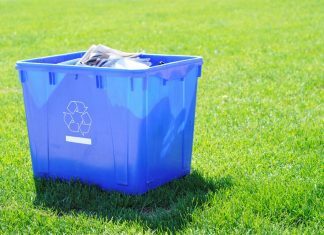 In May of 2014, Schedule 5 of the British Columbia Recycling Regulation (B.C.) Reg. 449/2004 came into effect, requiring that producers of Packaging and Printed Paper (PPP) be covered under an approved stewardship plan. The PPP category includes newsprint as a type of “printed paper”. News Media Canada and B.C.’s newspapers have worked to produce a stewardship plan intended to address the interests of all stakeholders, and ensure continued high levels of newspaper recycling in B.C. The B.C. 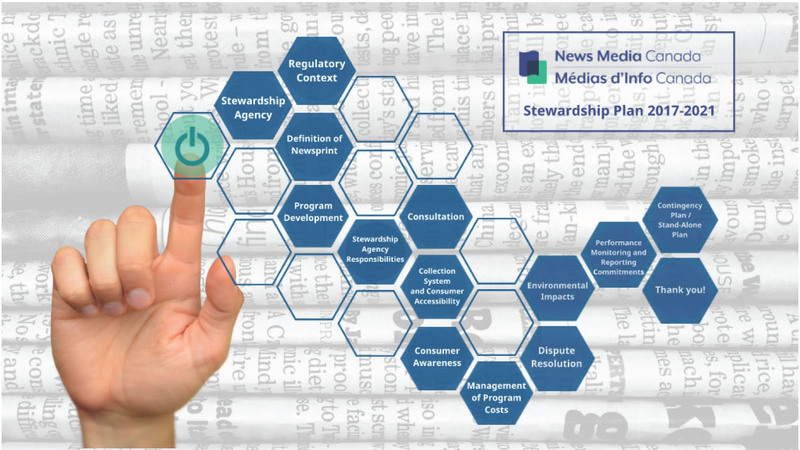 members of News Media Canada prepared a proposed stewardship plan for residential newsprint. Initial submission of the plan was followed by a public consultation process from July to September, 2017, aimed to inform and educate interested parties, stakeholders and the public about the plan and how it would work. The consultation process included posting of the plan to the News Media Canada website, a series of informational webinars, and the opportunity to submit questions about the plan. The final plan, which includes answers to those questions, was submitted to the Ministry of Environment on September 29, 2017. Click here to download the BC Stewardship Plan (PDF). The B.C. Stewardship Plan Annual Report 2017 can be viewed here. For more information, contact John Hinds, President and Chief Executive Officer, at jhinds@newsmediacanada.ca. Click image to download the plan. Click image to download the webinar presentation.